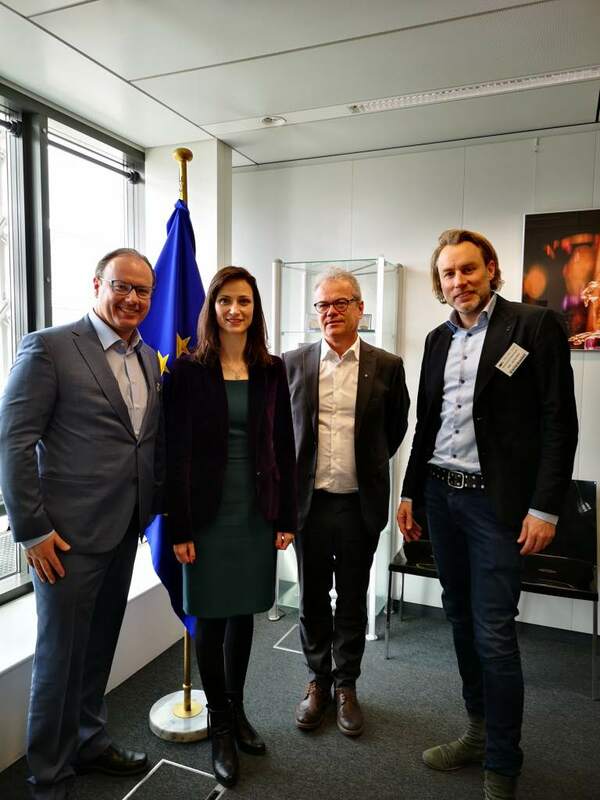 On 20 March, AER had not one but two meetings at the Berlaymont, the European Commission headquarters, in Brussels. On Wednesday morning, President Magnus Berntsson met with Commissioner Gabriel to discuss the Digital Europe programme for 2021-2022. Accompanied by Martin Svensson and Anders Karlberg from AER member region Västra Götaland the conversation flowed naturally to the topic of Digital Innovation Hubs – a subject where Västra Götaland has a wealth of expertise. Digitalisation is a topic of priority for AER members and their political work in 2018/19. By engaging with the Commission and discussing together the issues that matter to regions, we are optimistic to find space for cooperation between European and local levels of policy-making and communication about our work. At the upcoming Bureau meeting in Larnaca, AER will organise a debate on digitalisation and regional development. An invitation has been extended to the Cabinet of the Commissioner to join our debate and share with AER members the work it is doing to maximise the benefits of the digital transformation, in particular the support provided to regional authorities as they undergo this transition. 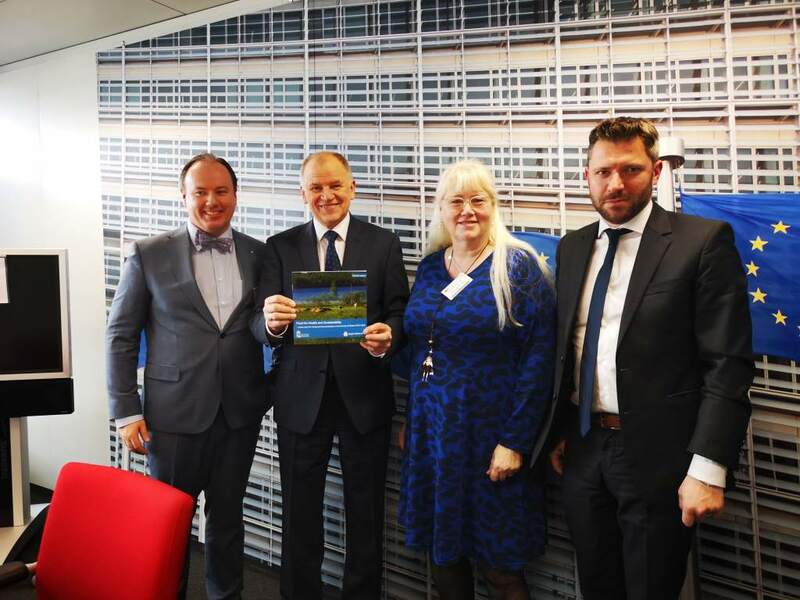 On Wednesday afternoon, the AER President, accompanied by two member regions, Timiş, Romania and Örebro, Sweden, met with Commissioner Andriukaitis to discuss the future of health policies and its implementation at regional level. As President of AER Committee on Social Policy and Public Health, Mihai Ritivoiu shared information about the work of AER and the ongoing projects we have on the topic of healthcare. Irén Lejegren, County Commissioner from Örebro County in Sweden subsequently updated the Commissioner and his staff about the work done by AER in the area of food security. Similar threads were discovered in this meeting as that which took place in the morning with regard to the need for cooperation among actors such as the European Commission and local and regional authorities. AER intends to follow-up closely on this topic with the new European College of Commissioners in the autumn. 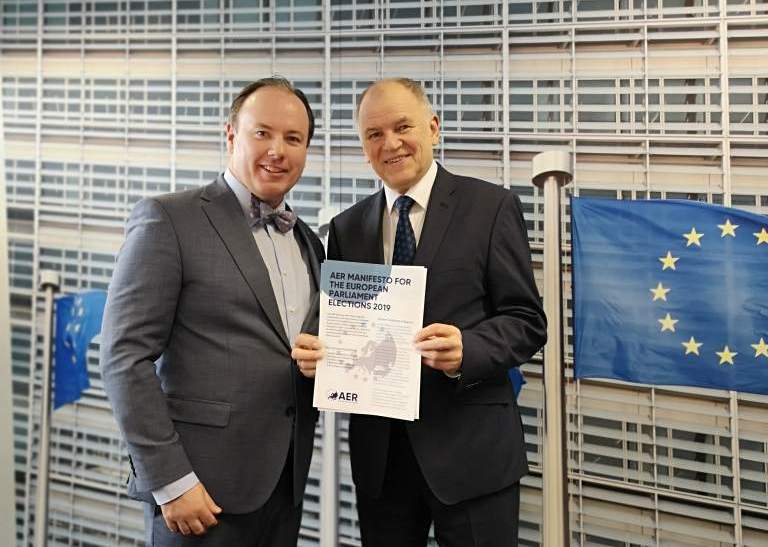 On the topic of the European elections, AER also had the opportunity to present Commissioner Andriukaitis with a copy of its manifesto for the European elections.